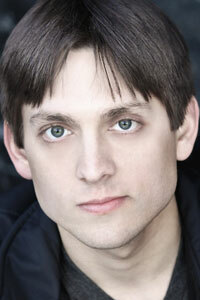 Joe Drechsel is a graduate of Montclair State University with a BA in Theatre. Joe is a company member of StrangeDog Theatre based out of the Montclair area. His favorite credits include Richard-Richard III(Alliance Repertory Theatre), Nasty/Interesting Man-Eurydice, and Skipper-Bootstraps. He also performed with Pig Iron Theatre Company in their original production of PAY UP! and in the world premier of The Meadowlands Project by Rogelio Martinez. His StrangeDog credits include Evan-Things That Happen in Bars, Ferg/Frog-Cave/Men, and El-New Tricks.